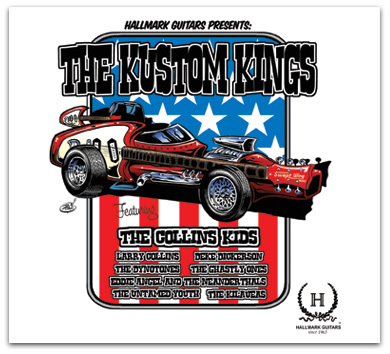 The Kustom Kings is an exciting and new collection of songs on the Swept-Wing label by legendary artists who play Hallmark Guitars. Hear the tone of all of the Hallmark Guitars on one release! The cd comes with a bonus 8 page 4 color booklet that features our artists and the guitars they play. 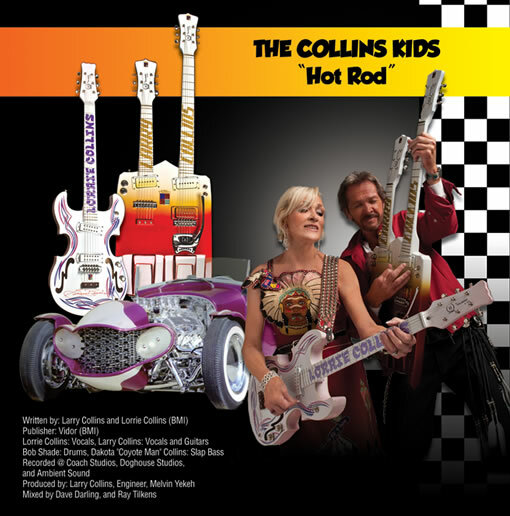 This album kicks off with rockabilly all-time greats the Collins Kids with a revved up new rendition of their penned 50's classic "Hot Rod." 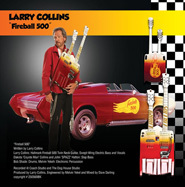 Larry Collins, the fire blazing lead guitarist shows he still has his guitar chops with "Fireball 500" and "Wing Walker." 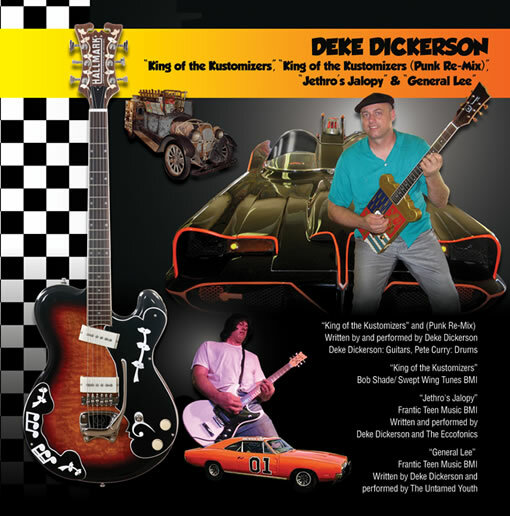 Guitar whiz Deke Dickerson, has been referred to as "Mr. Entertainment" and that is evident here with Deke penning a new classic with the song "King of the Kustomizers" followed by three more fun-filled tunes. 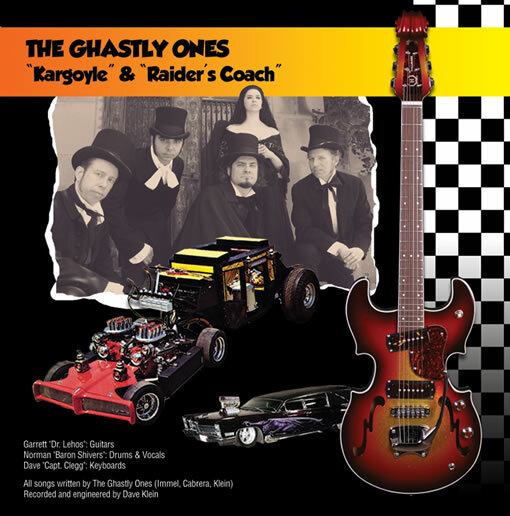 Another classic guitar group featured is horror's own the Ghastly Ones with reverb bone-chilling sounds. 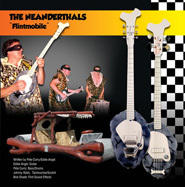 The Neanderthals rock it up with "Flintmobile" complete with Flint-Effects that will have you craving a bronto burger! 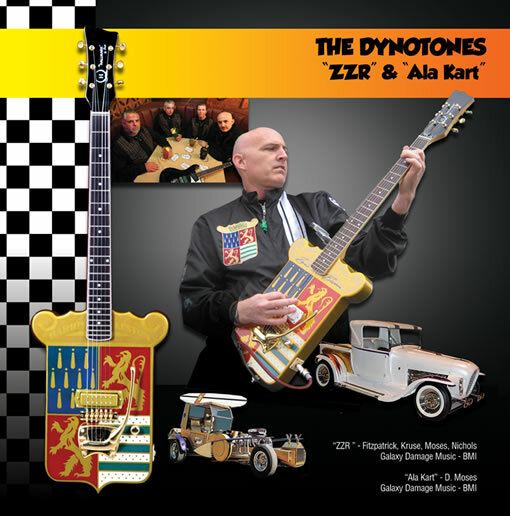 SoCal's own Dynotones gas it up with more of their special hot rod tunes. 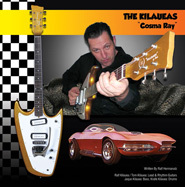 To charm you even more is Germany's surf kings the Kilaueas with "Cosma Ray." 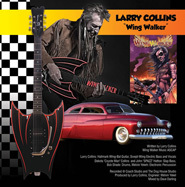 This album is dedicated as a tribute to George Barris, the legendary car kustomizer. 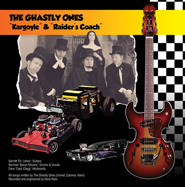 You may not know George by name but you know his cars. 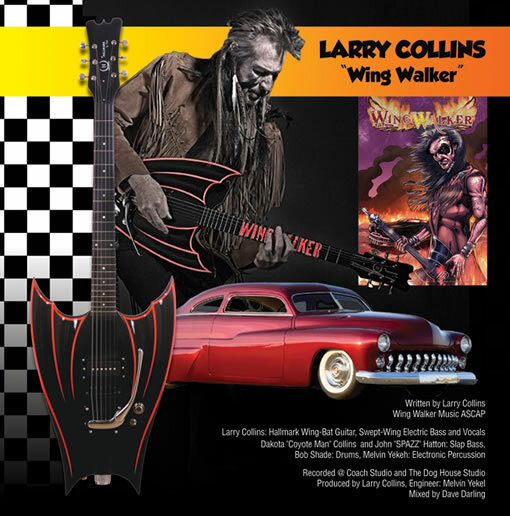 He has created countless kustom TV and movie cars such as the 1966 Batmobile car, the Munsters Koach and Dragula cars and he has built cars for stars like Elvis Presley, Ringo Starr and so many more. This release is a limited edition and features the art of master low brow artist "Dirty Donny." Buy Kustom Kings on iTunes or CDBaby! Or check out the special edition vinyl version at Sundazed Records!